This Stethacanthus is even more accurate than it is during its appearances in ‘Walking With…’. For one thing, it doesn’t just look like a modern shark after an unfortunate cartoon theme anvil accident. 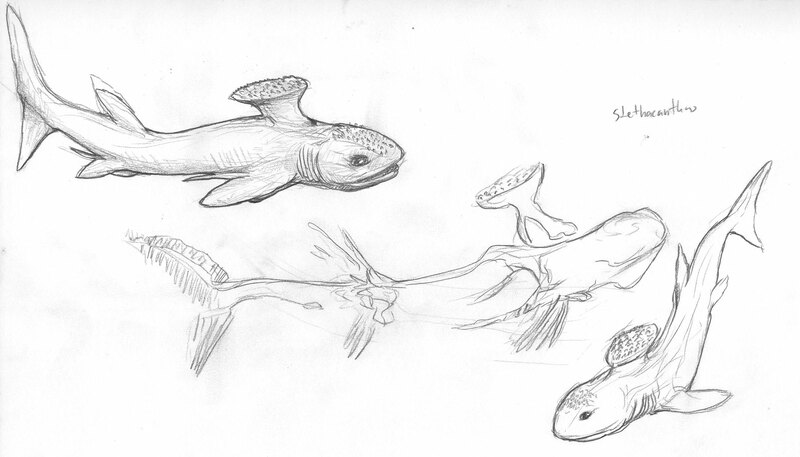 This entry was posted in Scanned Desksketch and tagged Carboniferous, extinct, shark by Anthony. Bookmark the permalink.